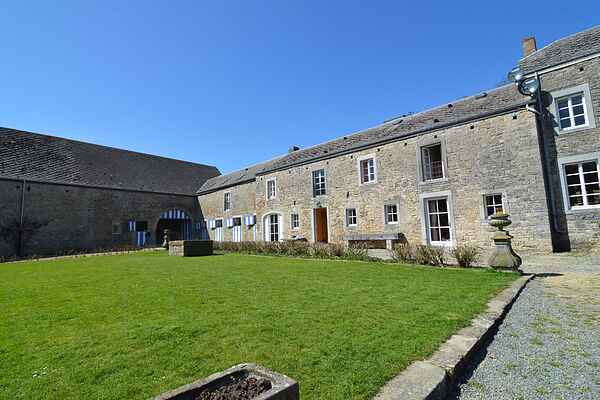 Right in the heart of Le Condroz, this pretty U-shaped 17th century farm house houses a race horse breeding stables. This character cottage, adjacent to the main house, welcomes guests for a good holiday in a picturesque rural setting. You can enjoy the large living room, a small kitchen and two bedrooms, one pass. Charm and authenticity are at the rendezvous. Many footpaths pass close to the house. You will be able to take advantage of them to explore the beauty of the Condruz countryside: alternating wooded hillsides, green meadows and plains full of crops; small lakes and ancient farms.